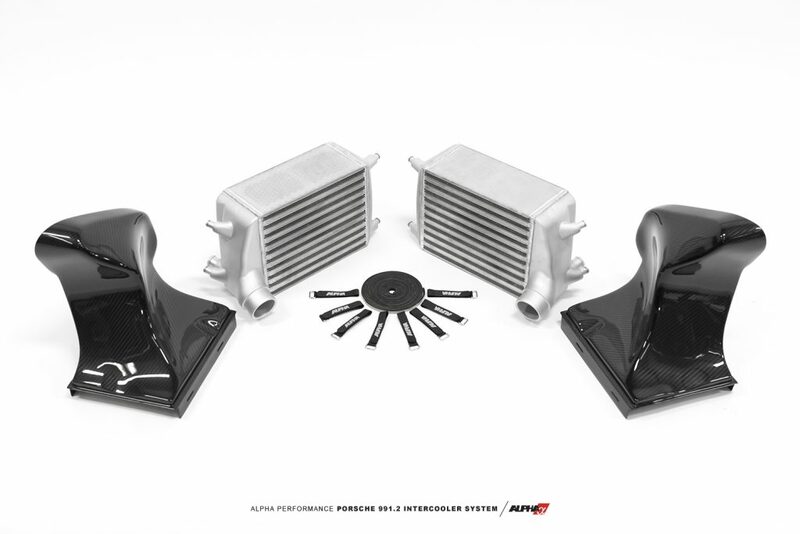 AMS developed the Alpha Performance Porsche 991.2 Intercooler System to provide you the best cooling upgrade for your Porsche 991.2 Carrera. In bringing these intercoolers to market our goal was to provide the ultimate system in terms of quality, simplicity, fitment, aesthetic, performance and design. 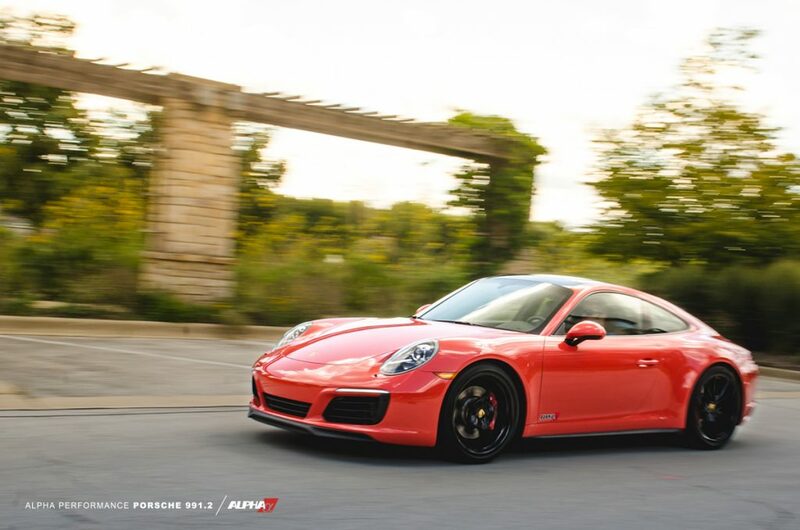 The Alpha 991.2 Intercooler System utilizes Garrett Intercooler cores that are50% thicker than OEM! 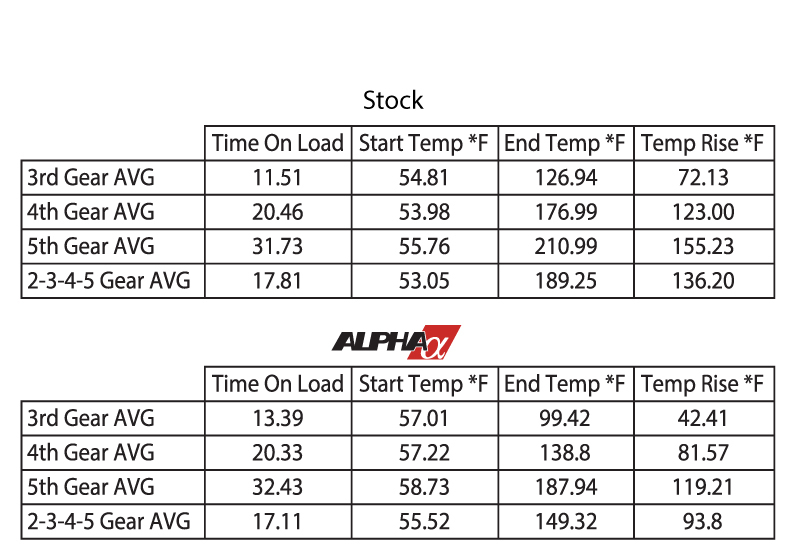 Alpha’s massive cores give you the most power producing intercooler upgrade on the market by way of significantly cooling the charged air flow. Each of the two super thick 120mm Garrett© cores provide an optimum fin density of 20 fins per inch for unmatched cooling. 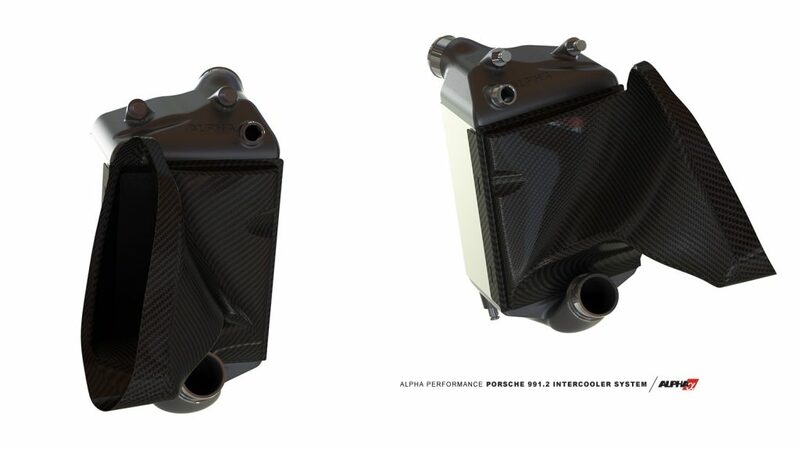 Our engineering team designed the Alpha 991.2 Intercooler end tanks with extremely smooth features and the perfect geometry for the best flow resulting in maximum horsepower. 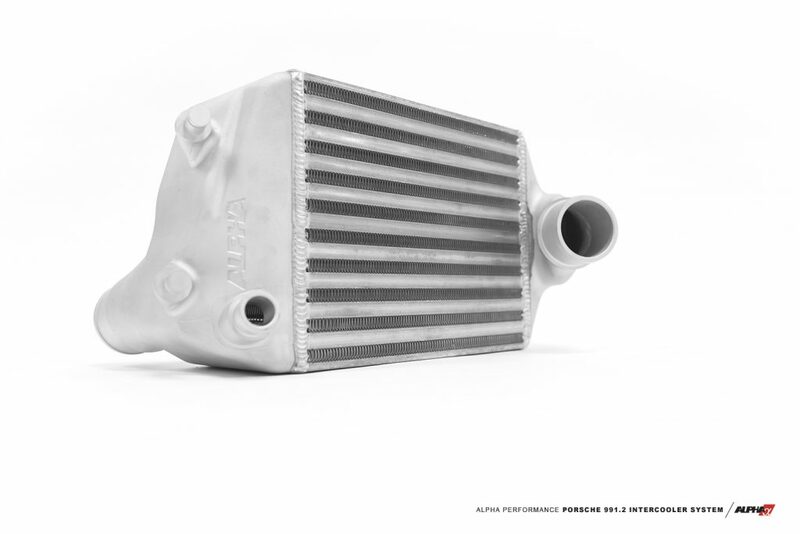 Designed using Solidworks 3D CAD software, these end tanks have improved flow over boxy sheet metal end tanks found on other intercoolers. We then took it one step further. AMS Engineers designed the organically shaped carbon fiber ducting to make use of every millimeter of available space for the ultimate power producing charge of cool air. 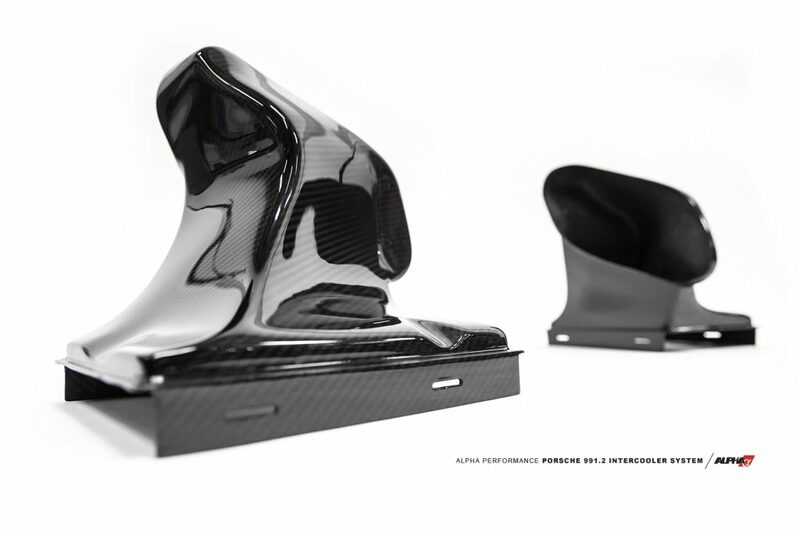 The organic carbon fiber lower ducts allow the heat to transfer to atmosphere instead of soaking into the intercoolers. 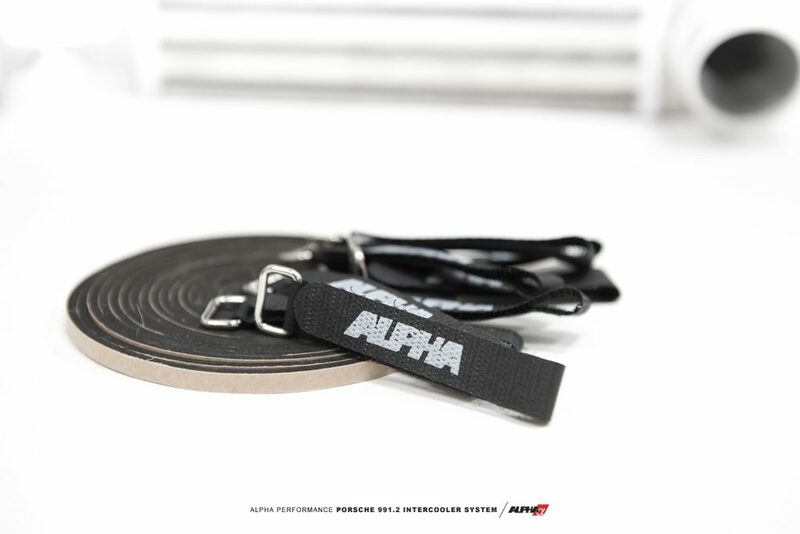 Alpha 991.2 Intercooler System speed straps and foam seal.